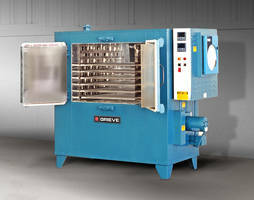 Greive's new 350°F Bench oven, No.1024, can be used to cure the plug on the end of long cables at customer’s facilities. 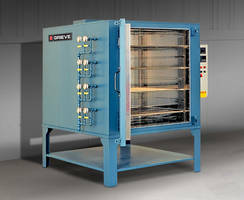 The oven measures 28” W x 24” D x 18” H and two KW are installed in Incoloy-sheathed tubular heating elements. 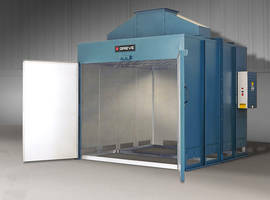 It also has a modified roof providing seven slots with adjustable covers and insulated walls. 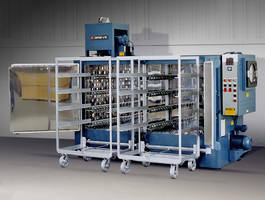 Features also include Type 304, 2B finish stainless steel interiors, Type 304, #4 brushed finish, stainless steel exterior and a digital indication temperature controller. No. 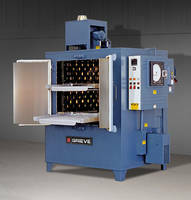 1024 is a 350°F (177°C), bench oven from Grieve, currently used for curing the plug on end of long cables at the customer’s facility. 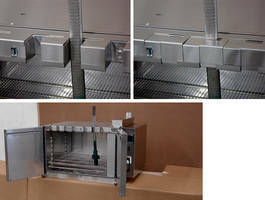 Workspace dimensions of this oven measure 28” W x 24” D x 18” H. 2 KW are installed in Incoloy-sheathed tubular heating elements. 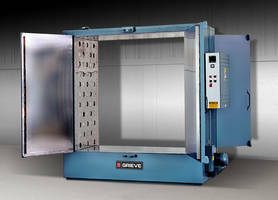 This Grieve bench oven has a modified roof which provides 7 slots with adjustable covers and 2” insulated walls. Additional features include Type 304, 2B finish stainless steel interior and Type 304, #4 brushed finish, stainless steel exterior. Controls on the No. 1024 include a digital indicating temperature controller.